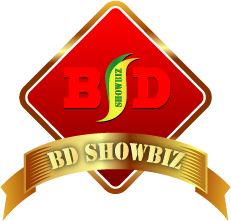 BD Showbiz is a one stop place for all event organizers and anyone who is in search of artists/ Celebes/ talent for their events/shows/concerts/store opening etc.We are in the industry for almost 10+ years and have strong direct association with the big-wigs of our film & TV and other fields of talent. BD Showbiz provide all types local and international artists and celebrities for any type of event inside Bangladesh. We are the shortest route to book an artist and hence save undesired middle-agents extra hige costs. From us you can hire any Band, Male or Female Pop singer, Top 10 singer, Classical Singers, Folk / Baul / Ghazal / Kawoali Singer, Dancer or Dance Troupes, Musicians, Magician, Comedian, Vj, Rj, Presenter, Models, News reader, DJ`s, TV & Film Actors / Actresses or any famous Personality. Our team also arranges all necessary for an artist and celebrity at your event period and makes a perfect management for your guests so they always appreciate your hospitality on your event. Please remember, don’t disturb any artist and celebrity by different booking and management agency at the same time because you will pay for it and we never minimize their remuneration for your event also. This is a big fact in most of our country man. Every celebrity not attends every types of event. So before choose a celebrity for your next event please make a contact us with your event detail such as location, venue, time period, event name and type, their activities on event, if any one more on your event etc. all. We must need few office hour to reach their on mobile before confirmation you detail about them. N.B. : Please do not call us for any mobile or contact number.